Finally, the solution for streak-free, crystal clear glass! As a problem-solving company, my goal - or mission statement as some would call it- is to develop cutting-edge surface care enhancement products that not only make detailing easier, but more enjoyable as well. That leads me to my latest creation, the McKee’s 37 Spider Flip Glass Towel. Creating perfectly clear, streak-free glass is something most of us struggle to achieve, until now. This uniquely designed microfiber glass towel offers 8 individual sides for cleaning glass, plus a unique diamond-pattern that scrubs away stubborn contaminants. It’s simply the best glass towel you will ever use. 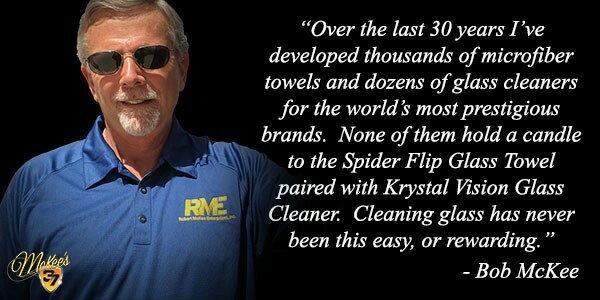 Small footprint makes the Spider Flip Glass Towel easy to handle. 8 Sides: After you clean a section of glass, flip the towel inside out to reveal a clean side. Diamond pattern design provides more scrubbing power compared to a conventional glass towel. 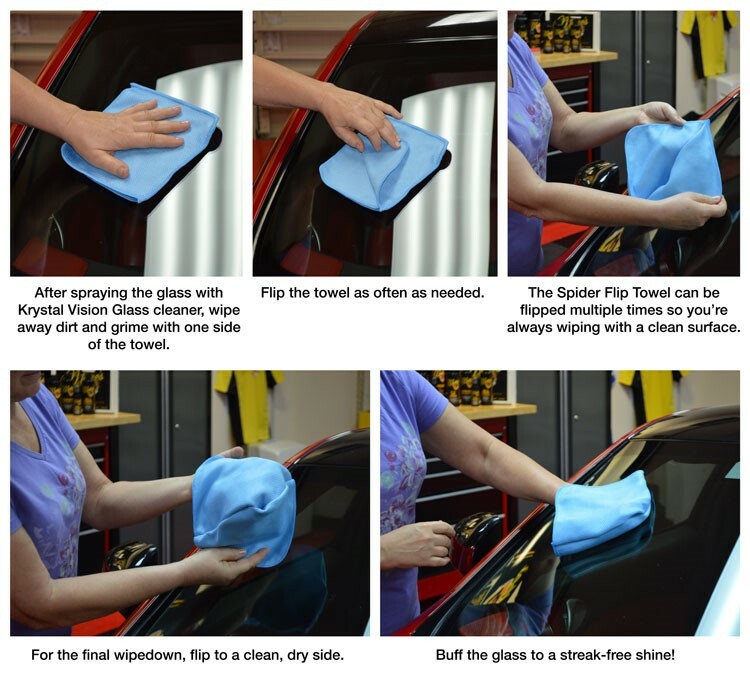 Better value: one Spider Flip Glass Towel does the job of 2, 3, or 4 conventional glass towels! Works on glasses and around the house (bathroom mirrors)! Early in my career, I had meticulously detailed Bob’s Crystal Red Tintcoat Corvette Convertible. The paint was glistening, the interior smelled like new leather, and the tires were dressed to impress. Bob, being the perfectionist that he is, immediately noticed a haze on the inside of the windshield. It’s the smallest of details that matter the most he said, while quickly reassuring me that the rest of the car looked spectacular. Bob is fanatical about clean glass. After that pivotal moment in my newfound career, I understood the significance of glass care. McKee's 37 2020 Cockpit Glass Cleaner Buy One, Get One FREE!